Yesterday I told my South Carolina Congressman what I thought of his support and vote in favor of HR620-The ADA Education and Reform Act. I had just received a response to my letter asking him to vote against this archaic legislation proposal. His reply detailed his enthusiastic support for its passage in the House of Representatives. Fortunately, for the time being, HR-620 has been tabled in the Senate thanks to a successful Dear Colleague letter circulated by Senator Tammy Duckworth. I do worry however, that others will try to reinvigorate similar forms of this legislation down the road and could be successful in getting it passed. It is vital that as citizens we stay informed and advocate for protecting legislation that moves us closer to creating an inclusive society rather than rolling back time and making it even harder for people with disabilities to feel engaged in life and society. One of the most frequently cited reasons for legislators stating that we need to change ADA relates to cases of frivolous lawsuits and the notion that individuals can be awarded damages by filing ADA claims. But this is a misguided and misleading headline because the problem lies with attorneys taking advantage of reimbursement fees available under the law–not consumer damages which cannot be collected under ADA. As disability rights lawyer Robyn Powell so eloquently states in an op ed from the May 2017 edition of Rewire.News, “Frivolous ADA lawsuits…are not an ADA issue; they are a state and court problem. Indeed, ethics rules bar attorneys from bringing frivolous lawsuits. Rather than go after people with disabilities, attention should be focused on stopping these few bad attorneys”. 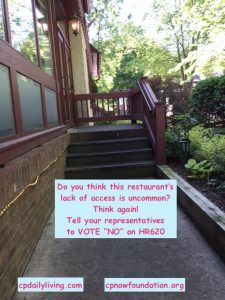 In a recent blog post from the Disability Rights Education and Defense Fund they shared more about the interests on Capitol Hill that are pushing for these changes, “They say the law is needed to help local ‘mom and pop’ shops, while behind the scenes, powerful trade associations for wealthy corporations—everything from multinational hotel chains to big box stores and corporate coffee shops—are pulling the strings in an effort to gain support for regressive rollbacks to the Americans with Disabilities Act of 1990 (ADA)”. 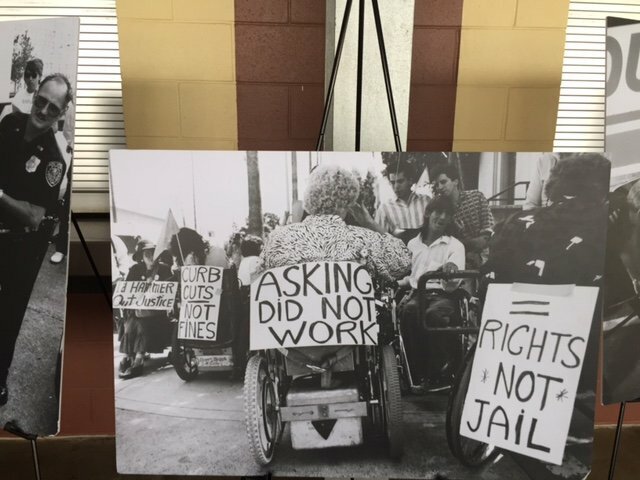 We can work on improving the education, compliance and support measures for businesses to uphold ADA, but we cannot weaken the existing legislation and still move closer to creating the inclusive society this law was intended to facilitate. Below is a copy of my response to Representative Trey Gowdy. Perhaps my words will not gain traction with him, but I am determined to share my point of view with my representatives and others who don’t understand the epidemic of inaccessibility that still plagues our society. I’m not looking for perfection, most of the time I just want my daughter to be able to get into a place of business and use the bathroom (but certainly we can do better than this). If we go down the path of cutting and carving our ADA legislation, which is actually aligned with many state building codes that have been in place longer than ADA, I fear we will isolate people with disabilities even further. Wow, what a poor and disappointing response. I am quite clear on what Hr 620 does and doesn’t do. Perhaps you should spend a day or a week in a wheelchair and see how inhospitable and isolating the world feels to you. As my letter stated, I am the parent of a child who is a wheelchair user. 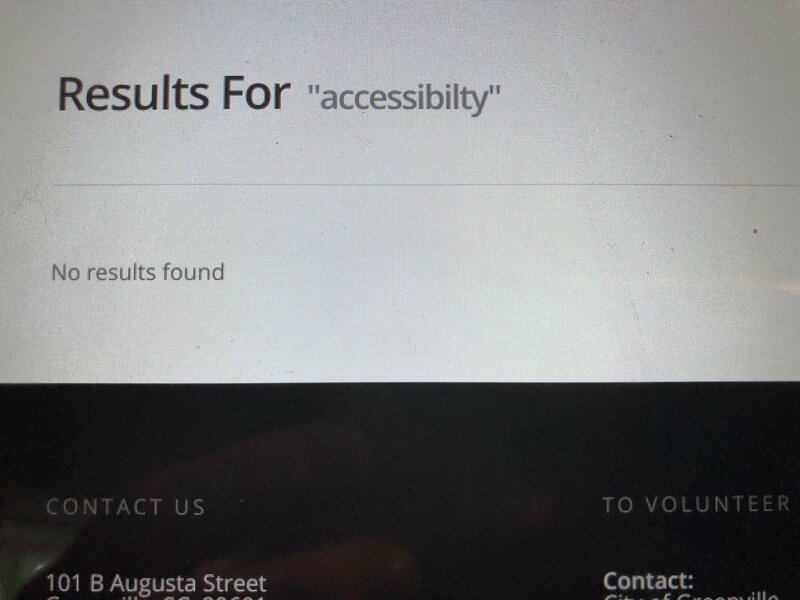 Ever day we face new construction and buildings constructed well after the passage of ADA that fail to provide the most basic access such as accessible parking, an accessible route to the place of business and accessible bathrooms. In working through these issues locally (and there are so many I could make it a full time job) I have found tremendous apathy, particularly from large developers who submit compliant construction plans to our city and then decide to cut costs and take their chances building non-compliant structures [which trickles down to their tenants having inaccessible businesses]. 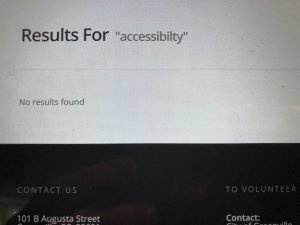 You are quite out of touch with the experience of people with disabilities to think that this is an appropriate course of action for a society where many business owners we meet often [but not always] feel that following ANY accessibility laws are optional. 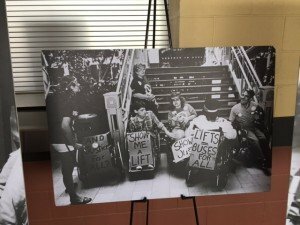 The onus should NOT be on the individual with a disability who already feels isolated and apart from their community to bring forward accessibility violations. Do you know how long it takes for me to even get someone to pay attention to me about an accessibility concern–often months, or even years! What we need are enforcement and compliance mechanisms that work. The few isolated cases where attorneys pursued cases against business owners for small infractions of the law can be handled through strategies that are created in cooperation with the American Bar Association. Plus the financial damages that were sought were specific to the state law, not the federal ADA law where no monetary damages can be awarded. Your summary and stance on this issue are poorly articulated and carry little weight with our family and many other people. 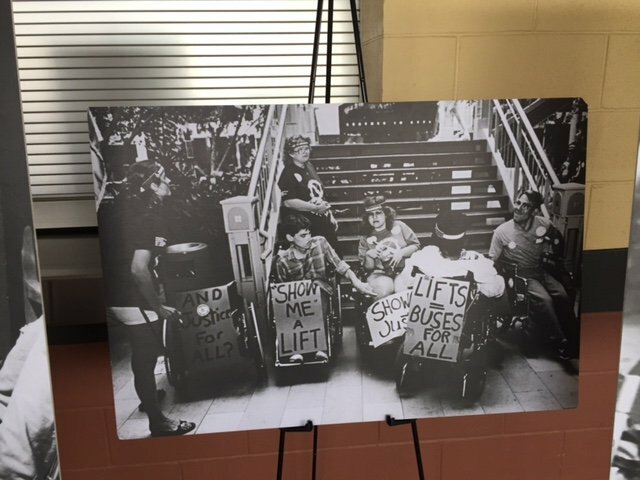 ADA has been around for almost 30 years and I don’t want to hear that business owners don’t know and shouldn’t know that at the very least their businesses should be physically accessible to people with mobility impairments. Why don’t you try being a bit more creative in handling your concerns about business owners rather than putting up more barriers to ensuring accessibility to people like my daughter? The fact of the matter is that we have a huge aging population (and you too will be there some day) and they, along with other people with disabilities, comprise the largest minority in the US. It only makes economic and social sense to ensure their participation in society without further delay. **Permission for the use of the two photos of above has been granted by the photographer Tom Olin. Thank you Tom! How did my representative vote? If you don’t like how they voted tell them your story and why you want them to think about this issue differently. 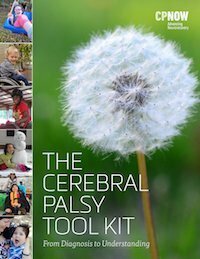 DREDF-Disability Rights Education and Defense Fund: offers a huge list of resources and information on HR620. The ACLU offers this excellent piece about the myths and truths of HR620. Previous post#Transitions Next postSetting a consumer-centered research agenda for CP-Mission accomplished!